A great blog is the centerpiece of any effective e-marketing campaign. Still not convinced you need a blog? Here are 7 things youre missing by not having one. 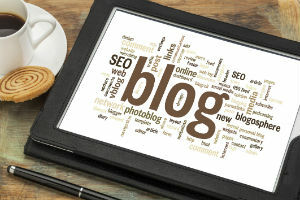 Great insurance agency marketing begins with a great blog. If you’re not blogging consistently (at least once a week), you’re missing an important opportunity to impress prospects and clients. 1. Drive website traffic. A blog, preferably with original content, helps drive clients and prospects to your website. It gives them a reason to visit and a reason to stay. 2. Convert traffic into leads. Your blog will help convert visitors into interested prospects. Prominent and professional calls-to-action will help you glean prospect information and will increase inbound inquiries. 3. Establish credibility. You can demonstrate expertise by offering timely and topical content. Answer questions from prospects and customers. If you’re consistently creating helpful content, it will establish you as an expert in your field. 4. Provide a content baseline. Share or repurpose your blog content. Send prospects links to your blog, leverage your blog in e-marketing campaigns, share your blog with social-media contacts and post your blog to groups on LinkedIn. Original content will help carry your brand and messaging to thousands of new prospects. 5. Convert to case studies, ezines and vlogs. A succinct blog can be converted into a one-page case study, a 400-word article or a recorded video. This repurposed content further extends your reach and expertise. Convert your blog entries into recorded videos and post them to YouTube to reach a larger audience. 6. Improve SEO. Blogs help improve search engine optimization. Your original content is indexed by search engines such as Google and Bing and helps prospects find your website through organic searches. 7. Promote website stickiness. Your blog ought to be one of your most-visited website areas and should encourage visitors to stick around. Showcase your expertise with timely, topical and relevant content, which will encourage readers to explore the rest of your site. A blog can make or break your e-marketing efforts. If you don’t have time to create a consistent, compelling blog, consider outsourcing this essential marketing tool to an expert. Is your blog doing its job? Alan Blume is an author, and as founder and CEO of StartUpSelling Inc., he works with small businesses on lead generation, sales, marketing, website design and branding. For more information, go to www.StartUpSelling.com.